Camping has just become a lot more comfortable with our state of the art amenities block. 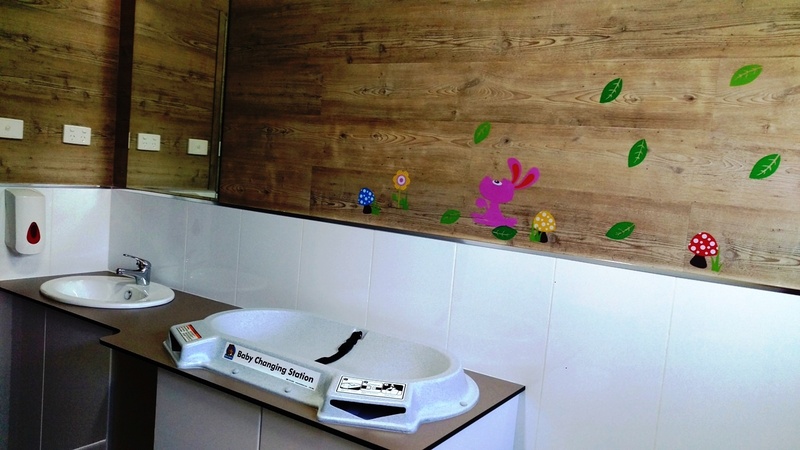 Large and private family bathroom makes life easier for parents with little tots (for children under 2yrs old). Disabled bathroom designed to Australian standards with fine attention to detail to precisely allow plenty of room to maneuver . Separate ambulant toilet offers extra room and support to patrons who need it most. Then of course it’s our Ladies and Men bathrooms. 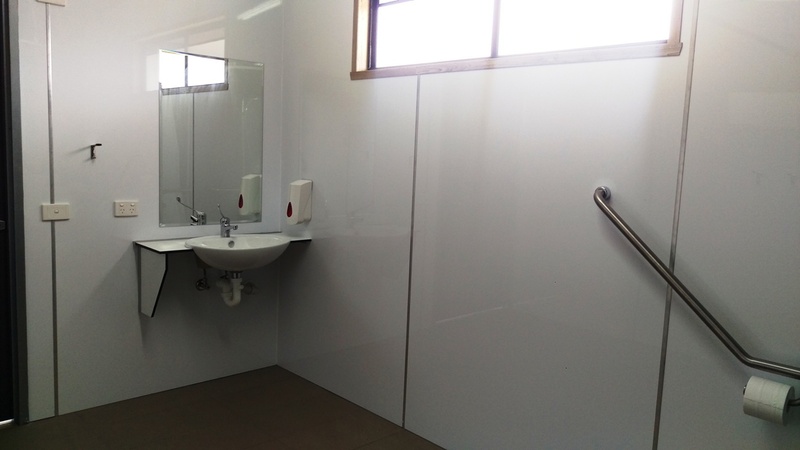 The bathroom facilities are designed to allow for plenty of room during busy holiday and festival seasons. With large and roomy shower cubicles – 4 in each room. Ladies bathroom has 6 toilets and men 4 toilets and 3 urinals. A large laundry room completes this package with washers and dryer. Go out and explore the Snowy Mountains!! !